South Korea has been shaken by a succession of corruption scandals involving politicians, judges, senior officials, businessmen and even academics. Impeachment of the country’s first female president, the conservative Park Guen-hye, was confirmed by the Constitutional Court, and snap Presidential elections take place on 9 May 2017.
of deployment of the US-developed anti-missile shield, Terminal High-Altitude Area Defense (THAAD). A new direction to relations with North Korea is also expected, with a shift from military deterrence to an engagement attitude. This new course could favour stability in the region, paving the way for a new role for the European Union, which could offer its experience in dialogue and integration to engage in a possible future denuclearisation of the Korean Peninsula. Read the complete briefing on ‘South Korea’s presidential election: Potential for a new EU role in the Korean Peninsula’. First of all, National Geographic Information Institute (NGII) would like to extend the appreciation to you that manages the valuable website related Geographical Names. As the representative governmental organization that manages geographical name and makes topographical maps in the republic of Korea, we request in a reverent manner to correct Geographical names of the Republic of Korea because some errors were founded from the Geographical name of your website. 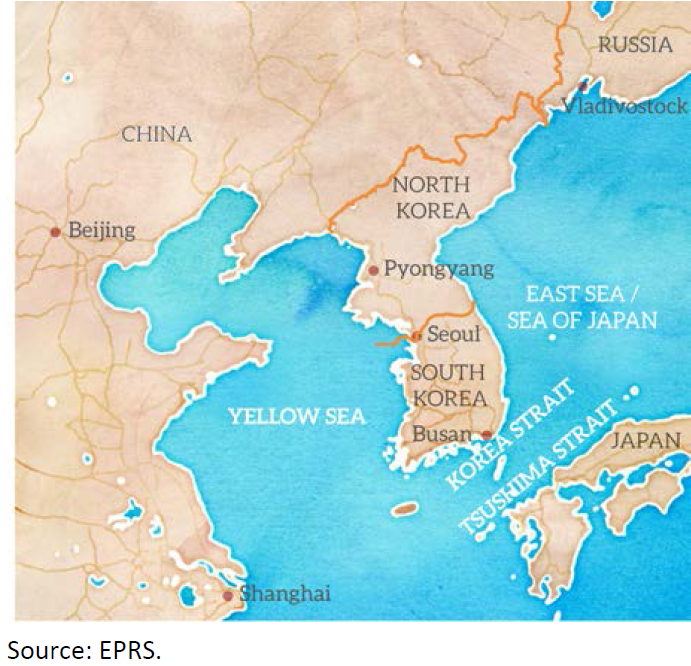 Please correct the name of current Geograpical name “Pusan” as “Busan”. As we appreciate your kind cooperation in advance, if you have a further question, please feel free to contact by e-mail at kehin417@korea.kr. Thank you for your very helpful message regarding our publication on South Korea. We have amended the publication and will publish the new PDFs shortly.